Just talking about Mauritius will more than likely bring images of golden beaches to your mind. Mauritius beaches make up one of the major highlights of a holiday in this exotic island nation. The country boasts a coastline that stretches for approximately 330 kilometres! 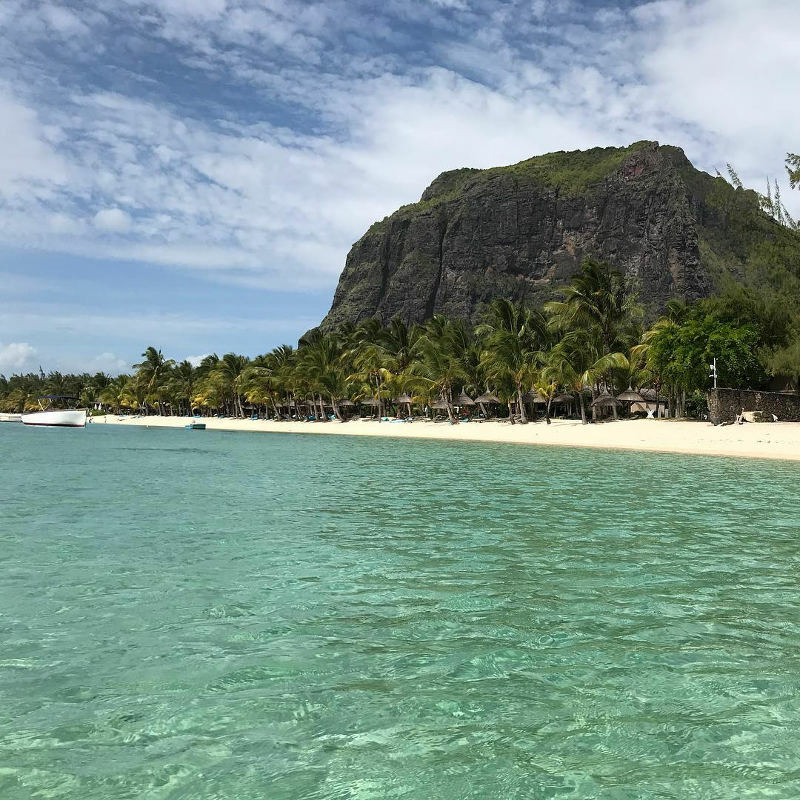 You can relax with this guide to some of the most popular, as well as some of the largely undiscovered beaches of Mauritius. Most of the island is surrounded by coral reefs. This has lead to the formation of several large lagoons, which provide calm water conditions. Some beaches of Mauritius island are ideal for thrilling activities, such as snorkelling, boat tours, wind surfing and kite surfing. One tip to take note of is that these stretches of shoreline are at their busiest on the weekend. Make sure then to plan your visits during the week. 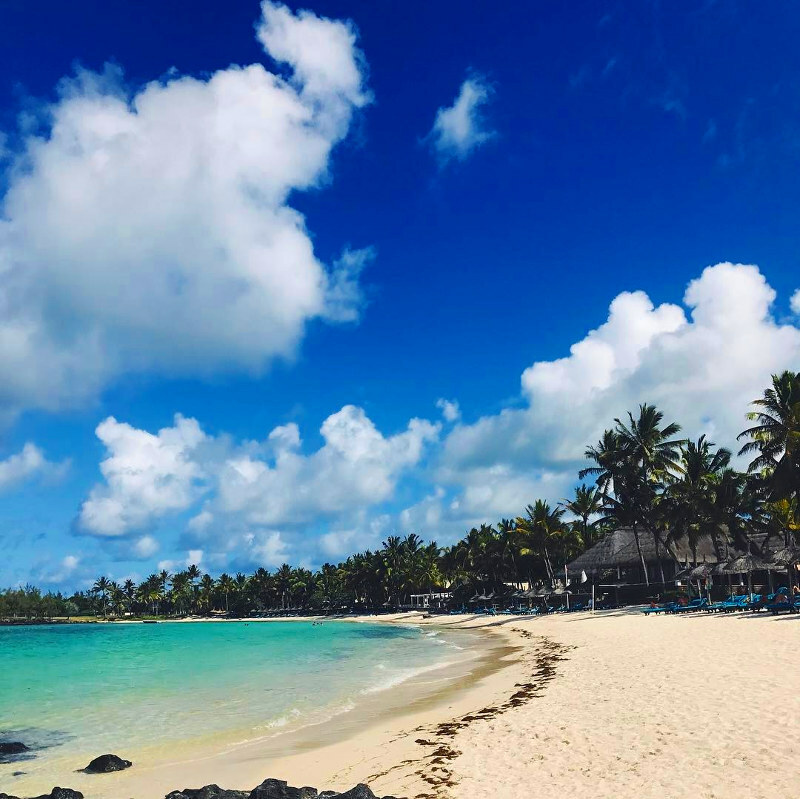 Now, get ready to explore these amazing Mauritius beaches! 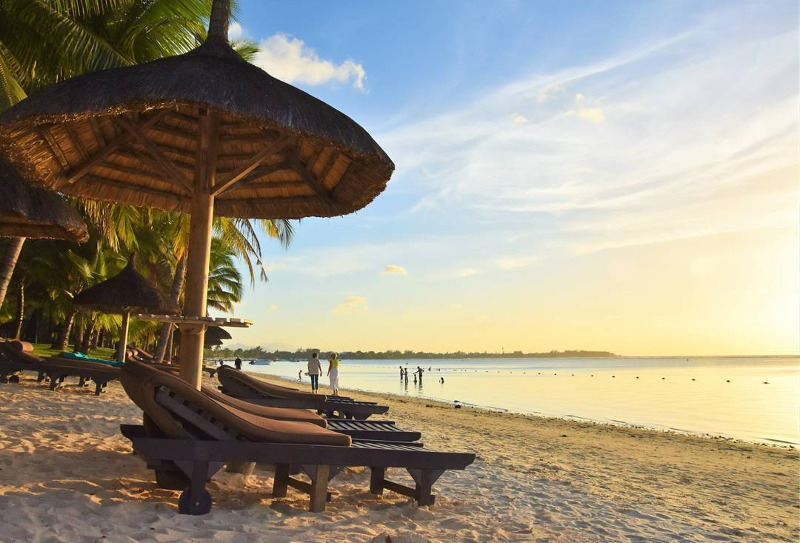 Book your flights to Mauritius from only R5,369 on Travelstart today! Northern Mauritius has the greatest concentration and variety of beaches. This is one of the most popular beaches in the country. Best known for its lively atmosphere, Grand Baie is often crowded with boats for swimming. It’s popular for water sport enthusiasts. The top activities to enjoy at Grand Baie include sky diving, shopping and accessing the smaller beaches and coves nearby. You can also go on wonderful excursions to the northern islands from this Mauritius beach. 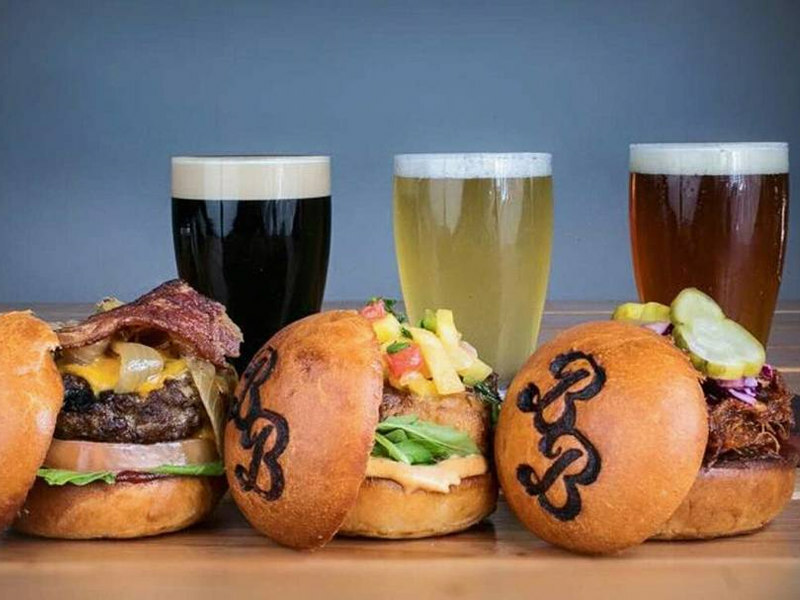 All the things you can get up to at Grand Baie will definitely leave you with an appetite. 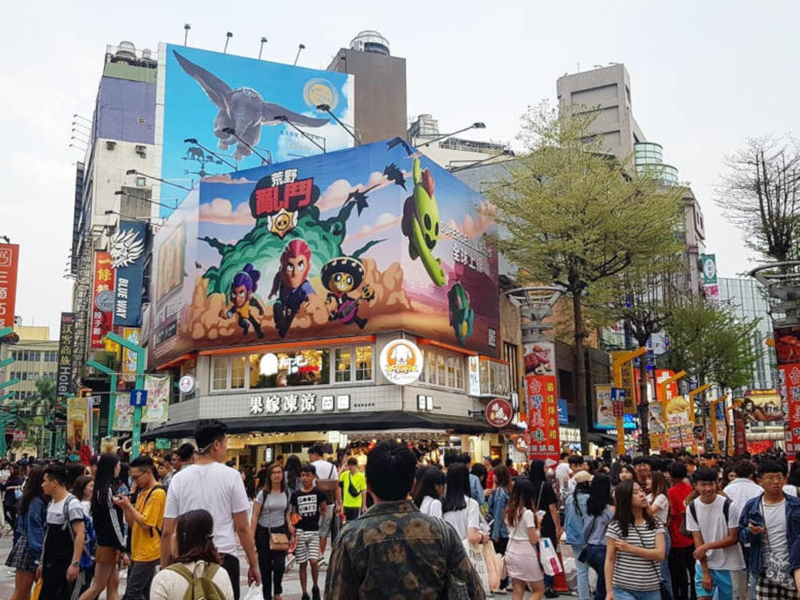 Several bars, clubs and international restaurants are nearby. These include Zorbas, which offers a Greek influenced menu. There are the Crole meals at Jardin D’Ziles, as well as the Mediterranean offerings of Sauterelle. As to how you can get to Grand Baie, take the M2 from Seewoosagur Ramgoolam International Airport. The road terminates at Grand Baie. It’s a straightforward drive or taxi ride. Numerous buses travel along this route as well. This charming beach, shaded by casuarina trees, is ideal for families. This is due to shallow and calm waters, thanks to a reef that’s close to the shore. From Trou Aux Biches, you can enjoy access to some of Mauritius island’s diving spots. These include the sunken wrecks at Water Lily, and the fish-filled Aquarium. Deep sea fishing trips are available at the Blue Water Diving Centre. As for where you can eat, there are several stalls around the parking lots. Many small restaurants and a supermarket are situated along the coastal road as well. A popular establishment is L’Assiette du Nord, with its seafood fare. Alternatively, relax with the casual ambience of L’ananas, or enjoy a cocktail at the cosy Café International “The Flame Grill Café”. You can reach Trou Aux Biches off the M2, on your way to Grand Baie. Several parking spots are available beside the beach. This 3-kilometre stretch of coastline is beautifully framed by casuarina trees. Popular attractions at Mont Choisy include aerobics, jogging and water-skiing. A football field is beside the beach. Join one of many games with locals or other visitors. This Mauritius beach features the stall of Kiosque Maguique, where you can enjoy many tasty and satisfying treats. A drive or taxi ride along the B13 to the north, and then to the southwest, will take you to other eateries. These include Le Off, with its variety of cocktails. Enjoy a casual atmosphere at La Cigale Pizzeria. Alternatively, treat yourself to a cosy experience at L’Espadon. You can get to Mont Choisy by bus from Port Louis, and from all the villages along the northwest coast. 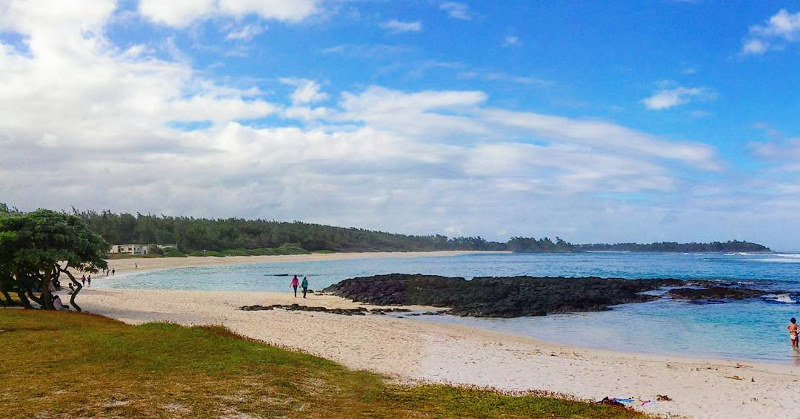 This stunning beach in northern Mauritius is popular among tourists and locals. It’s because of the nearby lagoon’s great depth. This makes it one of the best spots for snorkelling. 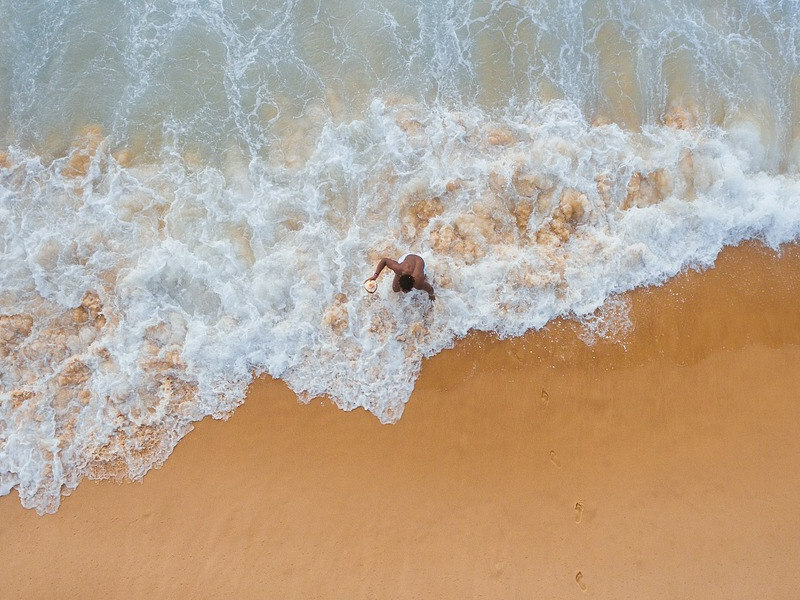 Additionally, Pereybere is ideal for a dip in the ocean and swimming. 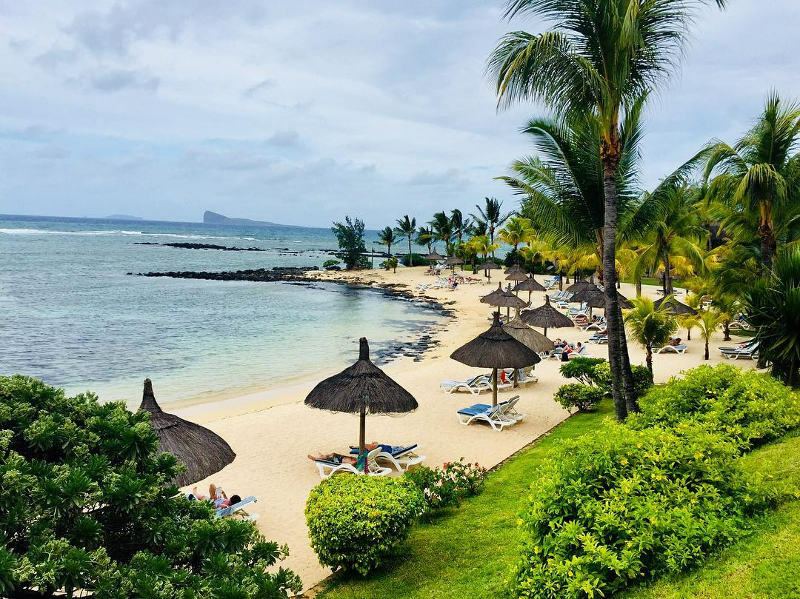 If you can secure a spot, simply sit back and enjoy the fantastic view that this Mauritius beach offers. There are plenty of fast food stalls along the beach. A few metres from the beach, there are restaurants serving Mauritian, Chinese and other international dishes. Top-rated eateries include Cote d’Azur, Wang Thai and Gourmet Grill Mauritius. Pereybere is easy to reach with a drive from Grand Baie along the main coastal road. 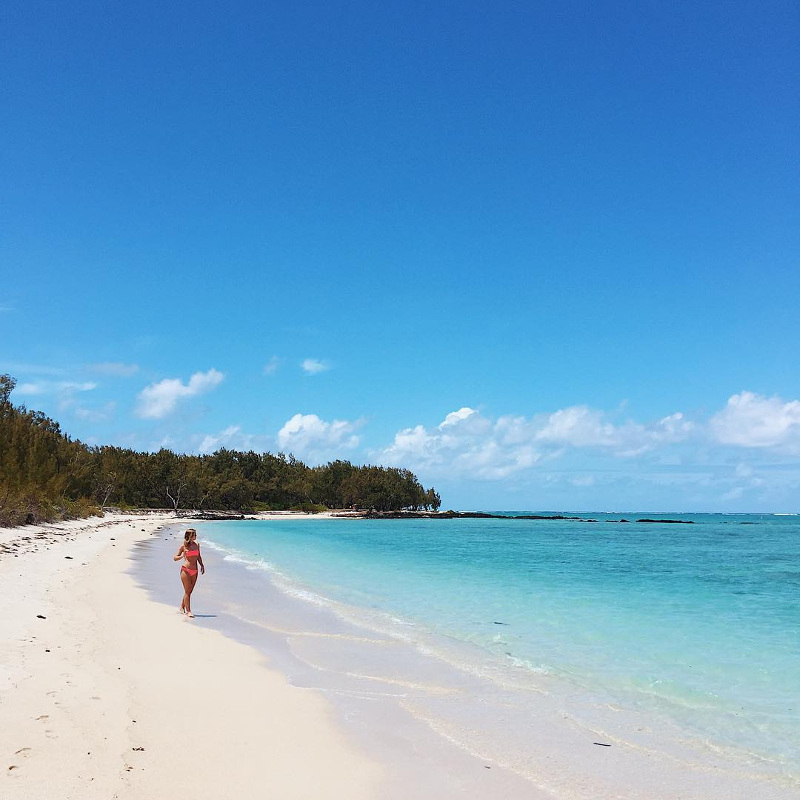 This is one of the Mauritius beaches to go to if you’d rather skip the crowds. This small stretch of coast, lined by trees, is a great spot for swimming. Another popular activity is the day and night excursions at a nearby diving school. You can go on a thrilling exploration of Mauritius’s colourful underwater scene. La Cuvette offers lovely sunsets. For a change of pace, head inland and try your luck at Grand Baie Casino. Fancy a bite to eat? Beyond Grand Baie Casino are several eateries and entertainment venues. These include La Botteghita, Luigi’s Italian Pizzeria and OMG Nightclub. La Cuvette is a few minutes’ drive to the north from Grand Baie. 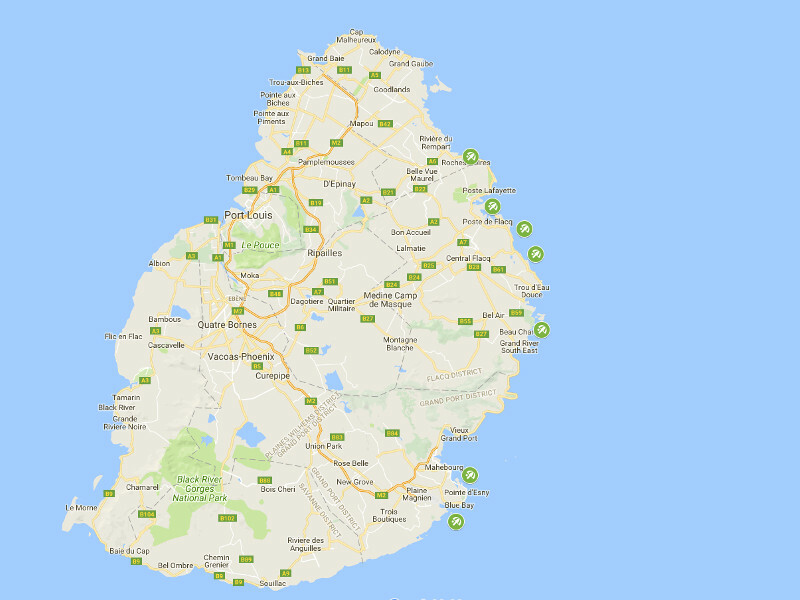 As for how you can get to these locations, take a look at this map of Mauritius beaches in the north. It will help you get a better idea of where they all are. Some of the most popular collection of Mauritius beaches sit on the east coast. This privately-owned island off the coast of Mauritius is named after the deer (cerfs) that once roamed the area. Thanks to its talcum white sands and translucent waters, it offers one of the island’s most appealing beaches. 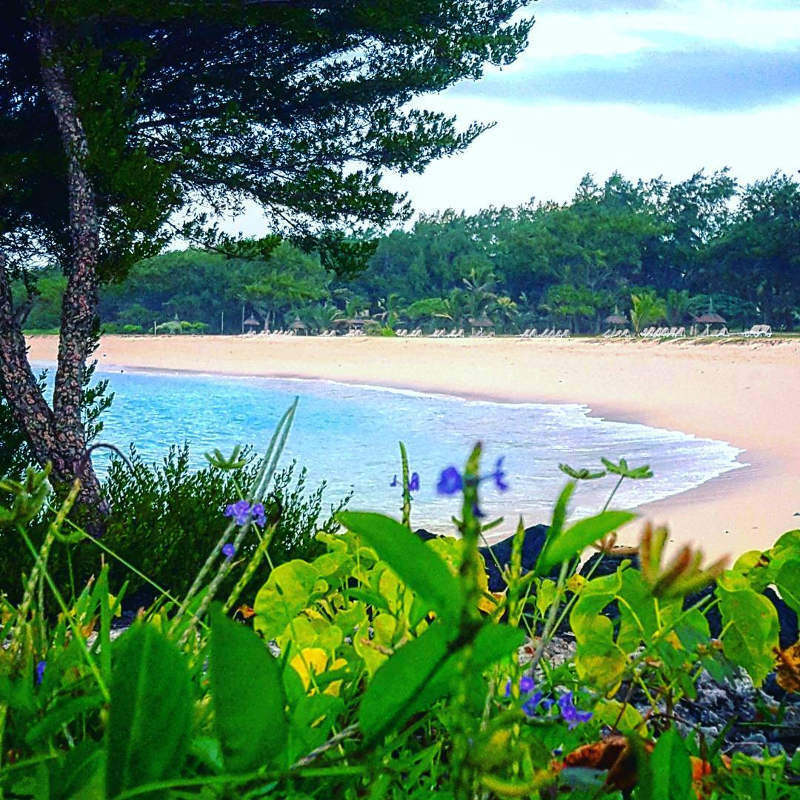 Île aux Cerfs is perfect for couples, families and golfers. 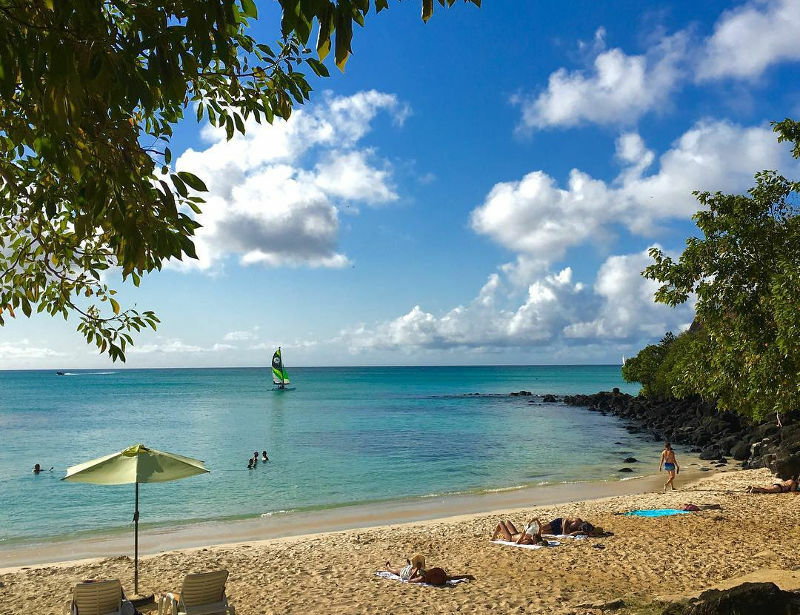 At this Mauritius beach, nearly every type of water sport you can think of is enjoyed. These include parasailing, boat rides, speed boat rides, and pirate boat rides for kids. Île aux Cerfs includes an adventure playground for children. The island is also a favourite lunch spot for cruises along the coast. Golf enthusiasts can test their skills at the Île aux Cerfs Golf Course. At low tide, you can head across to the small island of Ilot Mangenie. A small number of eateries are available on Île aux Cerfs. These include the delicious seafood and grill at the sophisticated Sands Grill. If you’d rather have Indian cuisine, head to La Chaumière Masala. As for how you can access Île aux Cerfs, a ferry service is available from the public beach at Trou d’eau Douce. This service runs every half hour, from 8 am to 5 pm. 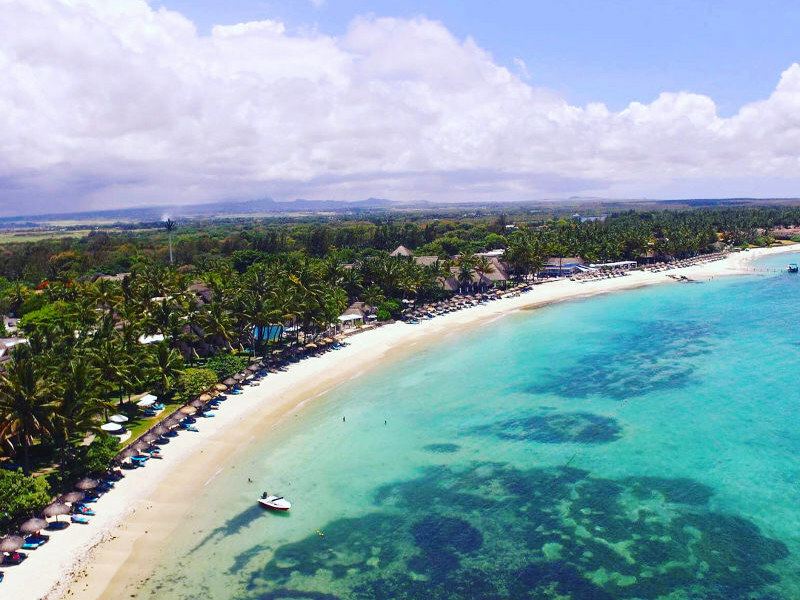 A 10-km stretch of white sand coast is what you’ll get at Belle Mare Plage. It’s one of the most beautiful of the Mauritius beaches. From this beach, you can access the Pass, the most famous diving site in the east. Windy conditions and strong currents make swimming at Belle Mare Plage unsuitable. On the other hand, the strong winds make this an ideal venue for windsurfing and sailing. In the evenings, head over to the Laguna Bar, which includes a live jazz band. For a different experience, visit Barachois (it’s the island’s only floating bar and restaurant!). At La Maison d’Été, enjoy delicious desserts. You can reach Belle Mare Plage by driving east along the B62. Taxis are available as well to get you to this Mauritius beach. This protected marine park has the island’s best underwater scenery close to shore. Popular water activities include windsurfing, kayaking, snorkelling and sailing. There are also tour operators offering diving and deep-sea fishing. Glass-bottom boat trips and snorkelling excursions leave from Blue Bay. Other activities include volleyball, tennis and table tennis. A supermarket is situated nearby. For some classic dishes, visit the highly-rated Charka Steakhouse. Tasty wood-fired pizza is on the menu at Blue Bamboo. You can also enjoy typically Mauritian fare at Le Jardin de Beau Vallon. From SSR airport, it takes approximately 10 minutes to drive to Blue Bay. Take a look at this map of the beaches in the east. This Mauritius beaches map will make finding the island’s top attractions hassle-free. The Mauritius beaches of the south offer a different side to the coastal experience. Strong currents make swimming a dangerous activity and one you should avoid. Instead, this collection of beaches gives you the opportunity appreciate the breath-taking sights of the ocean and wind’s power. This incredible stretch of coastline along the south coast is definitely not for swimming. Instead you’ll have the opportunity to witness spectacular hordes of waves crashing against giant rocks. For the adventurous at heart, you could try exploring the caves situated closer to the coast. The beach is a good venue for a picnic. An observation deck is also available to treat you to more of the magnificent sights. This beach on the Mauritius island is close to various eateries. Enjoy the cosy ambience offered at numerous establishments, including Le Gris Gris, Le Saint Aubin, The Green Palm and Le Bois Cheri. Gris Gris is near the B9, which runs along the coast until it links to the A9. The A9 allows you to access Gris Gris from central Mauritius. 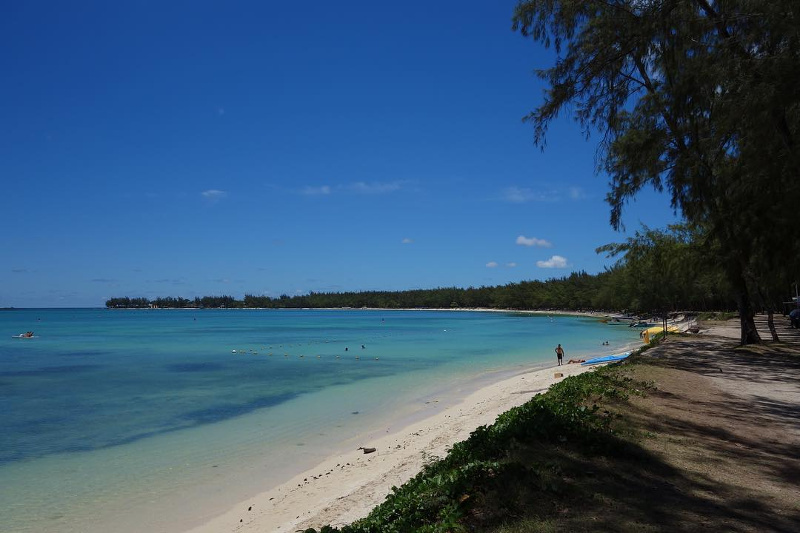 This is one of the largely undiscovered Mauritius beaches, especially for visitors. Situated close to Sir Seewoosagur Ramgoolam International Airport, there are several signs which warn against entering parts of the airport’s grounds. Most tourists have mistaken this as road signs restricting entry to the beach. While largely undiscovered by visitors, this is a public beach with fireplaces, benches and beach huts. From La Cambuse, there is a beach hiking trail with breath-taking views leading to the west, where you can find more untouched beaches. Another hiking trail leads out to Le Bouchon public beach. There are no eateries close to La Cambuse, but heading in the direction of the airport will lead you to several restaurants and bars. These include La Belle Creole and Sabores. There are additionally the establishments situated near the neighbouring beach of Blue Bay. La Cambuse is a 10-minute drive to the southeast of SSR. Use the map below of the beaches in the south. 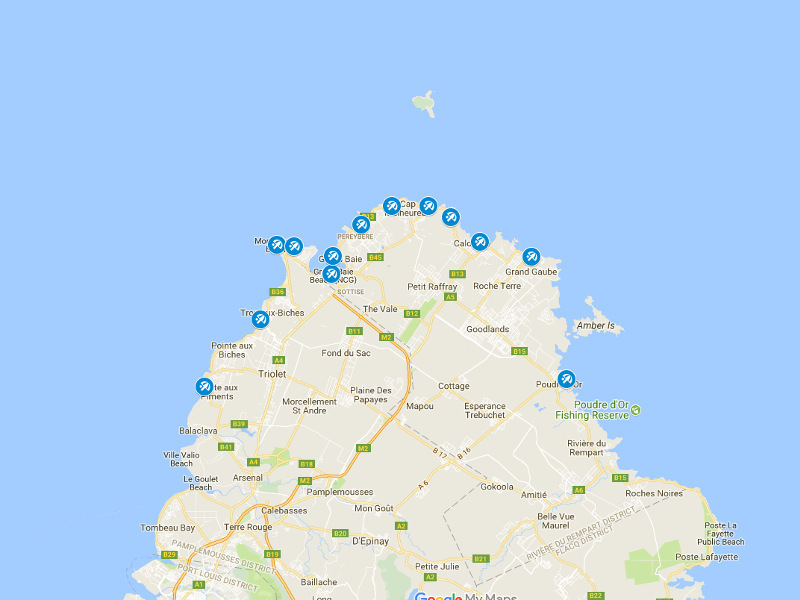 This Mauritius beaches map will take care of any confusion you may have when deciding on which beach to go to. The western part of the Mauritius island offers the best sunsets. This 8-kilometre long, wide beach features calm and shallow water. 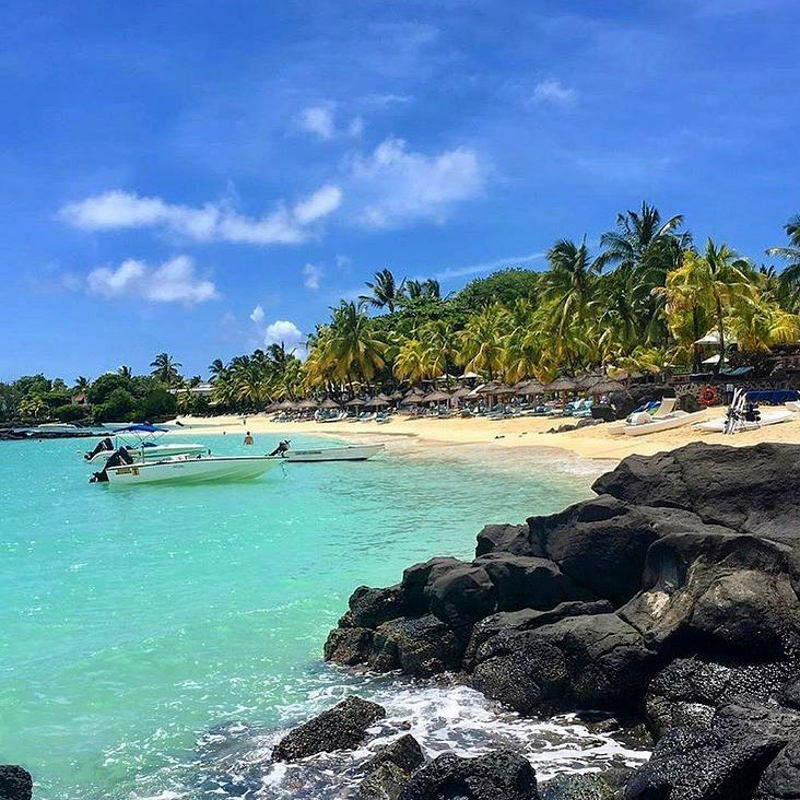 It’s one of the liveliest Mauritius beaches. The most attractive and private stretch is to the south at Wolmar. This is where you can enjoy views of Tamarin Mountain. Thanks to the reef and calm waters, this is an ideal place to learn to dive. The popular dive site, Cathedral, features a multitude of different fish species. A 10-minute drive inland to the southeast is the Mauritius popular eco-park, Casela World of Adventures. A variety of restaurants and a supermarket are along the coastal road. There’s the wine lounge at The Beach Shack. Enjoy tapas at Lakaz. More food outlets are available in Cascavelle Shopping Mall. You can easily drive or take a taxi to reach Flic en Flac. The coastal road runs close to the shore here. Numerous petrol stations are along the route, and there is plenty of beachside parking during the week. This Mauritius beach offers wonderful views inland of Tamarin Mountain. Tamarin beach was famous among surfers in the 1970s. Today, it’s the dolphins that draw tourists and locals. Despite this attraction, this stretch of coastline has a calm atmosphere. Tamarin is still Mauritius’s only surf beach, especially between June and September. You could also rent paddle boards or enjoy a ride on a sea kart (a safer version of jet-skiing). You can treat yourself to French-Mauritian lunches at Le Whatever. Sundowners are available at The Bay (a boutique hotel). Enjoy modern tapas at Moustache Bistro. At the club of Big Willy’s, relax in a beer garden, which includes live music and a large sports screen. 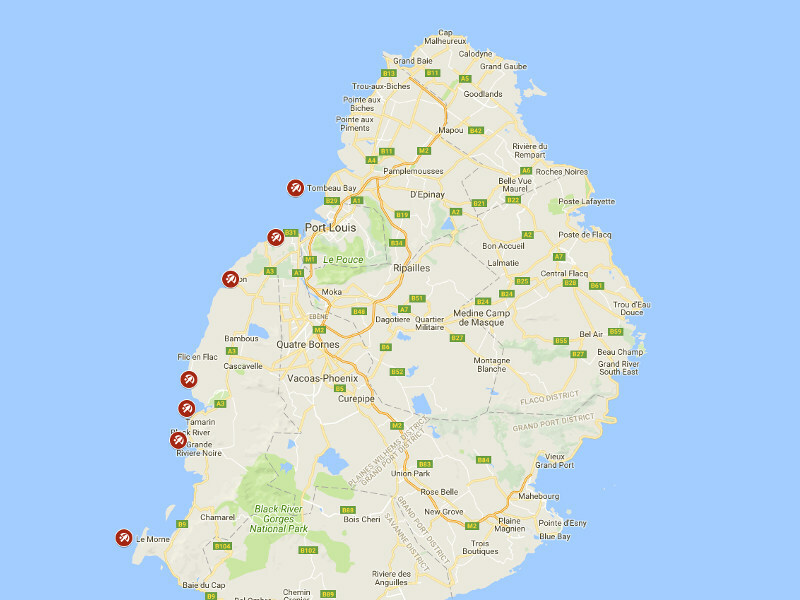 Reach Tamarin by driving inland from Flic en Flac and the south along the A3. Alternatively, it’s a straightforward taxi ride. This 4-km stretch of white sand includes the Le Morne Mountain as its backdrop. Le Morne is a hotspot for kite surfers. Not many locals visit this beach, making it a calm venue, even on weekends. 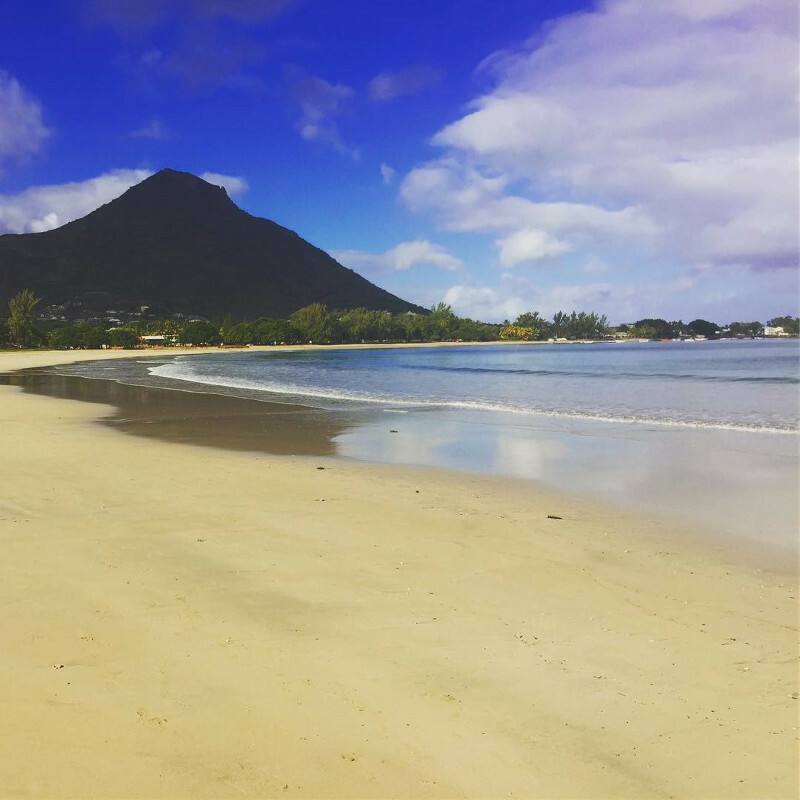 Popular activities at this Mauritius beach include swimming, flying a kite at ‘One Eye’ at Le Morne Point. Private horse rides along the beach are available. There is also a hiking trail up Le Morne Mountain. There is only one restaurant on the beach, Emba Filao, which serves Mauritian staples and western favourites. In the nearby Le Morne Village, enjoy seafood dishes at Face à la mer. Public buses stop at the entrance to Le Morne Peninsula. From there you can take a taxi ride south along the coast to reach Le Morne beach. 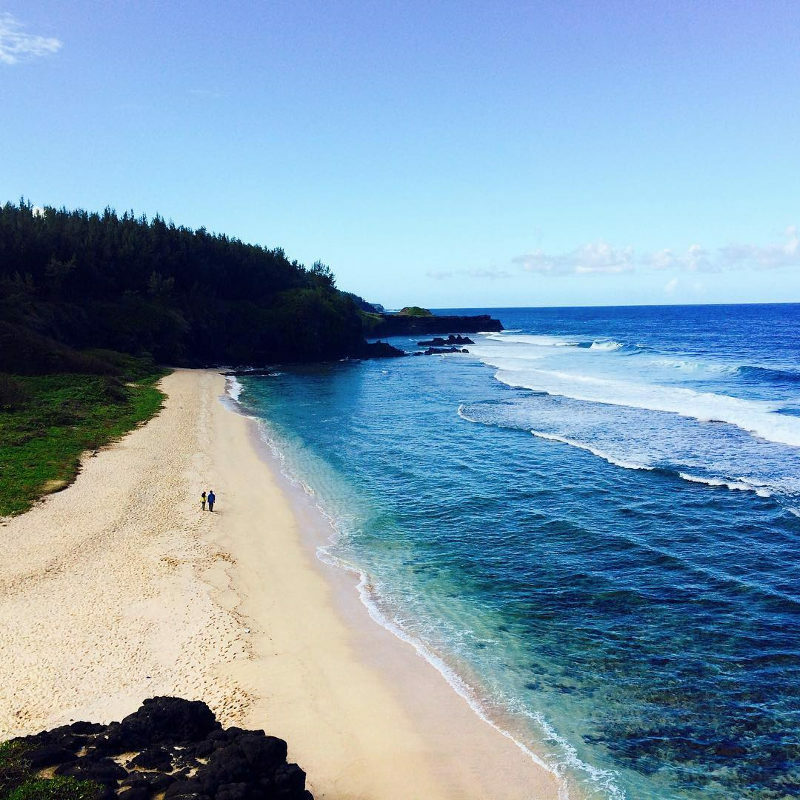 Discover all these locations with this map of the beaches on the west coast. 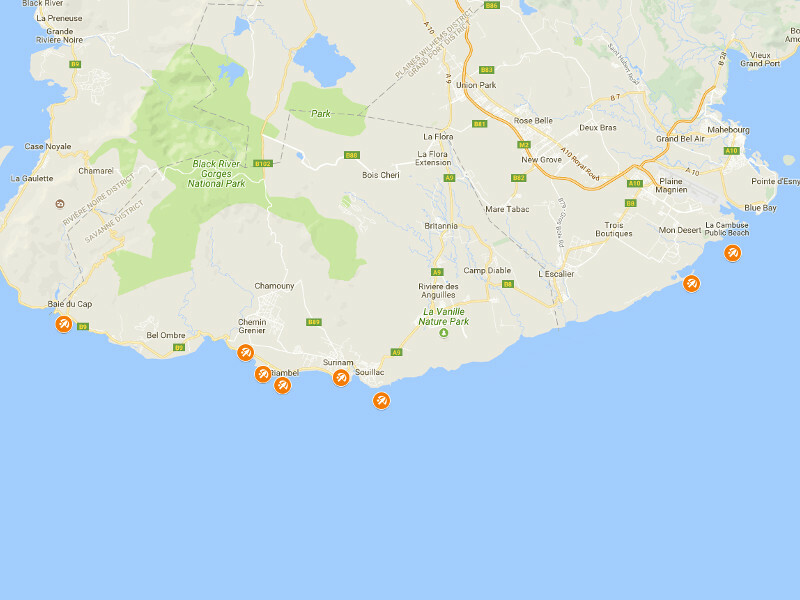 This Mauritius beaches map show exactly where each coastal hotspot is situated. Now you have an idea of what Mauritius beaches have to offer. Start packing your bags and book a flight with Travelstart! 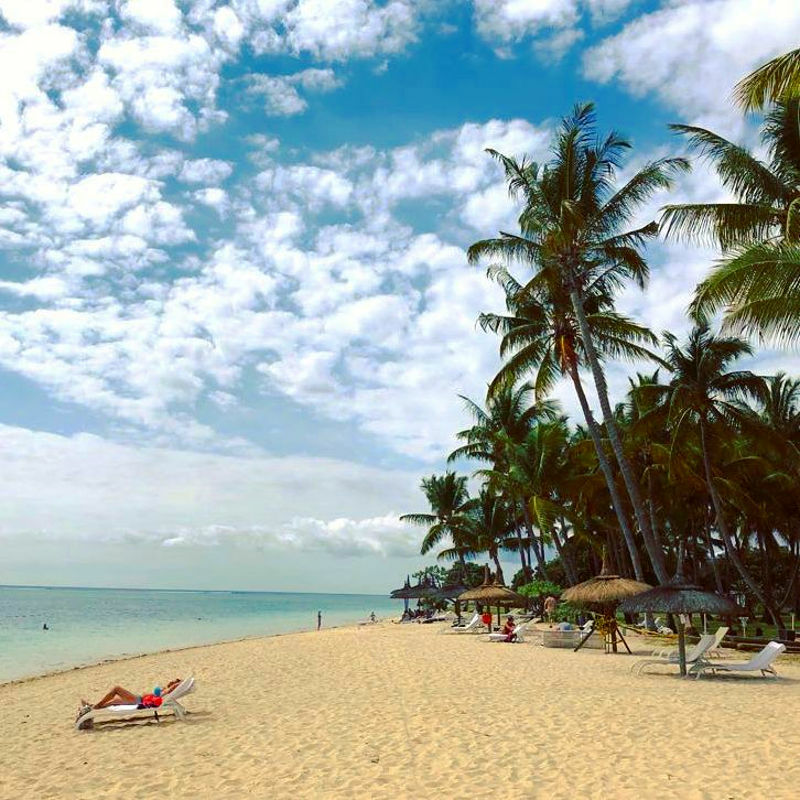 Do you have a favourite beach on the Mauritius island? Let us know in the comments below. 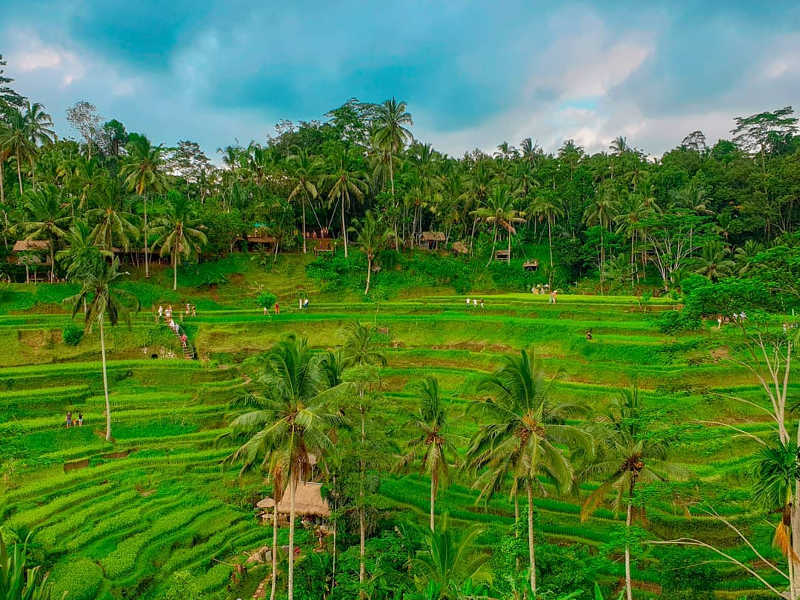 Should you wish to get assistance in receiving a quote for a group booking and making a reservation, we have a team of Travel Experts that would love to help. One of our agents will get back to you with a group quote. It really has the most beautiful beaches and friendliest people but a huge heartache for animal lovers are the huge amount of neglected dogs roaming the dangerous, narrow streets. At Grand Baie it will be a huge welcome if fresh water troughs and automatic animal feeders could be placed at various spots. Visit the new bakery and coffee shop FUNKY FRESH on the Coastal Road in Trou Aux Biches. AMAZING !! Best coffee, decadent cakes and pastries and selection of light meals.